Garden Club London design and build service have recently completed a small back garden design in South West London. The small area was left after the house was extended to provide more kitchen space and large glazed panels installed to add more light. This did however mean that our client needed a practical and attractive small back garden to be created. 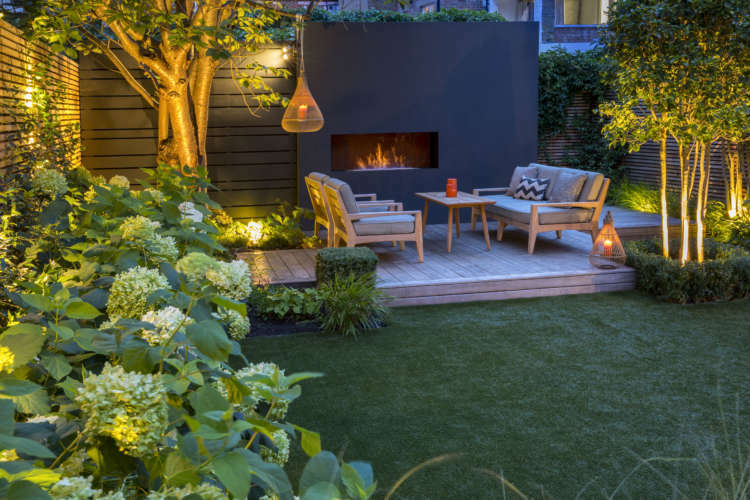 The brief was to provide a small seating area, add privacy with contemporary screening and provide a selection of fragrant plants including herbs and evergreens as part of the planting plan. The budget was tight so we had to be creative and flexible to deliver good value for money without compromising on the quality of materials used in the garden design or the finish of the landscaping. The clients also wanted the garden to provide a subtle continuation of the interior decor which had cool neutral colours combined with contemporary and swedish style furnishings. The rear boundary of the small London garden ran at an angle which can sometimes leave a ‘dead’ area of wasted space in the garden. A main planting bed would run along the rear boundary to provide a good depth of soil to plant the biggest area of greenery and also allow some evergreen climbers to screen the rear boundary. The main structure of the retaining wall used to build the bed also offered the opportunity to provide support for a floating bench. The would be planted with low growing evergreens, tolerant of the shade provided by this permanent seating area. 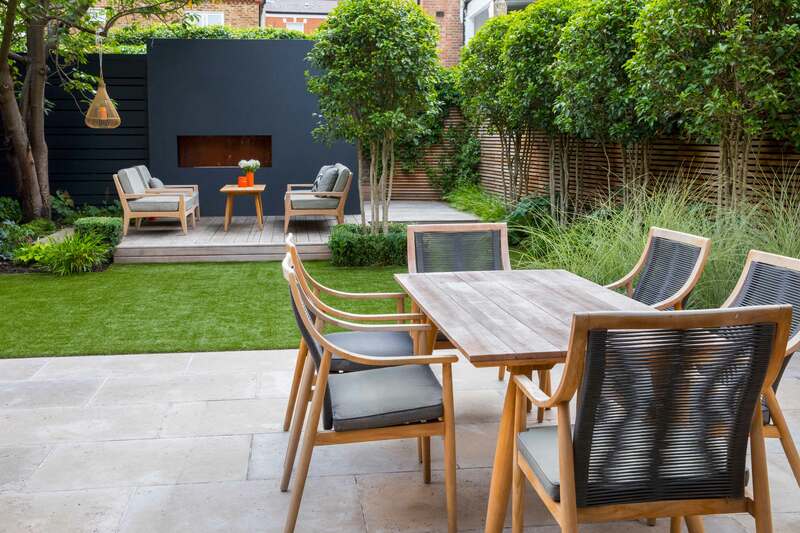 By keeping the ground level surface area free of free standing garden furniture the feeling of space is maximised, the need for furniture storage removed and the aesthetic quality of the undistracted view from inside the property vastly improved. Blue limestone paving was chosen for the surfacing to provide a light paving area that would not easily show dirt or pollution which is often a maintenance problem in city gardens. Initially hardwood was selected for the boundaries but to keep the project within the clients specified budget we used a pressure treated softwood guaranteed for 12 years and painted the boundaries including horizontal baton fencing and block and render using neutral blue greys. We also chose to keep some of the original brickwork exposed and to paint it to retain some character as a backdrop for the planting. 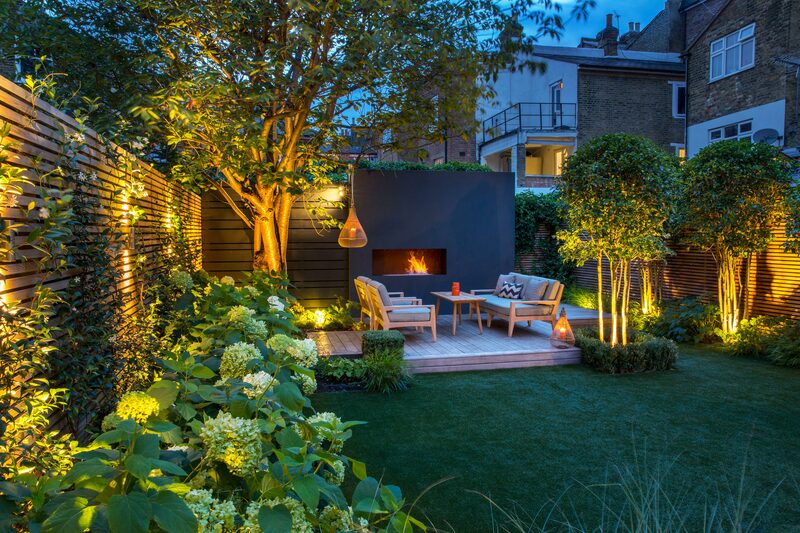 Garden Club London provide a range of garden design and planting services throughout London and beyond. Our fees vary depending on the size of the garden and scope of the project. 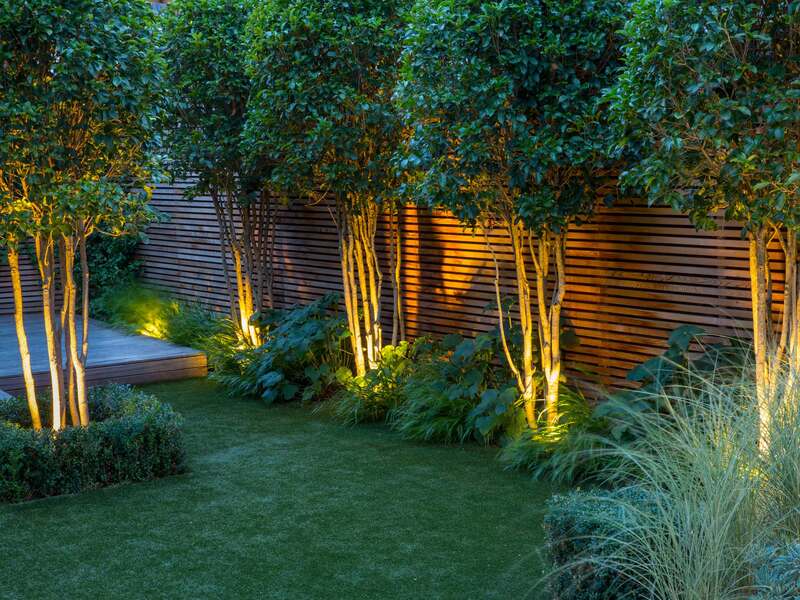 We specialise in urban and contemporary garden design without making an outdoor space feel stark or bare. We are planting specialists and as our Royal Horticultural Society Gold medal 2013 proves, our designs are unique and work for the clients and spaces they are built for.